Using cameras placed on vehicles, Cortexia offers a monitoring solution that helps to keep cities cleaner, while reducing the costs and environmental impact of cleaning. The different categories of waste are recognised and counted by artificial intelligence, which processes them on its platform, and ensures effective deployment of a street sweeper fleet, as and when it is required. As part of his work for the community of Granges and as an adviser for cities, André Droux, one of the co-founders, asked himself a simple question: how many street sweepers are needed to keep a city clean? Since he had no effective way of answering this question, he decided to create Cortexia in 2016.
he artificial intelligence developed by the company establishes a cleanliness index according to the elements detected in streets, which fit into 30 categories. 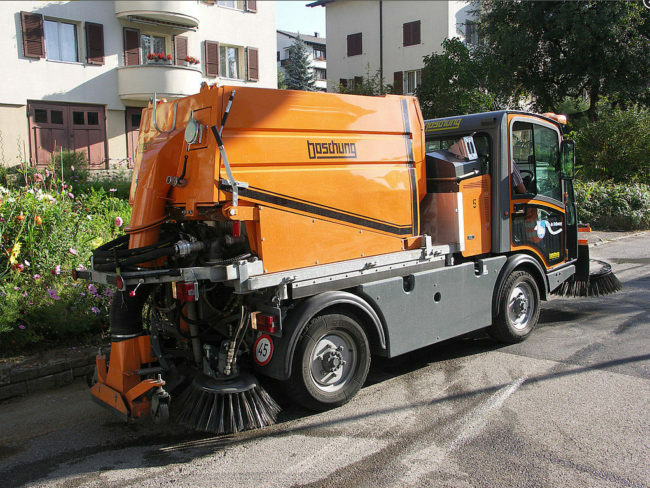 The processing of this data allows the cleanliness ratings of different streets to be mapped, so that the sweeper fleet can be more efficient. Cortexia also helps to reduce the high costs for local authorities, when it comes to the operation of their maintenance vehicles and their environmental impact. The city of Zurich, now one of the cleanest in Europe, optimises its resources by 10% every year, thanks to Cortexia’s monitoring service. For cleaning costs generally estimated at €50/inhabitant/year, this represents a €5 saving for every €1 spent on monitoring. The start-up aspires to provide a clean and healthy environment for citizens, using technology. As well as providing savings and productivity gains, Cortexia also helps cities to become more attractive, by making the environment more pleasant. It therefore stimulates tourism and encourages businesses to set up there in the long term. It was selected by the Prix de Vigier awards in 2017, listed in Bilan Magazine’s 50 Swiss Start-Ups in 2018, and was a finalist for the 2018 Fribourg Innovation Award. Cortexia also won an award under the 2018 French IoT acceleration programme, and will be joining La Poste at CES 2019 in Las Vegas. More information is available on the Cortexia website.